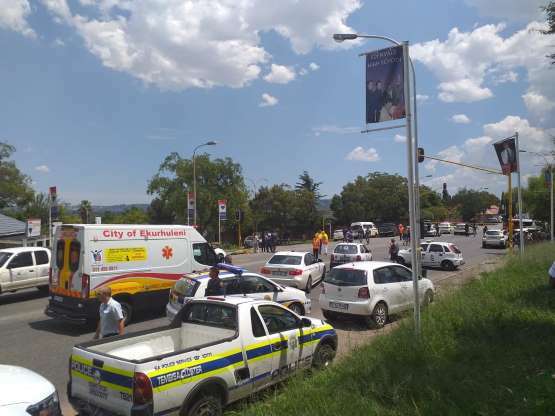 Two suspects have been shot dead and a third injured in a shootout during a robbery at Edenvale High School on Thursday, 21 February 2019. The shooting took place just before lunchtime. William Ntladi, Ekurhuleni Emergency Management Services spokesperson said at 12h45, the call about the shooting had just come in and emergency vehicles had been dispatched to the scene. A man who posed as a parent was part of the gang of men who attempted to rob Edenvale High School on Thursday, the principal of the school said. "The suspect came to the gate and said that he wanted to fetch his child. Upon entry, they asked for the keys to the safe. We gave him the keys to the safe but there was no money as we never keep money on the property," the school principal, Dr Larry Harmer, told the media outside the school. School staff sent a voice note to the Edenvale Community Policing Forum (CPF) and officials responded swiftly. A shootout ensued. 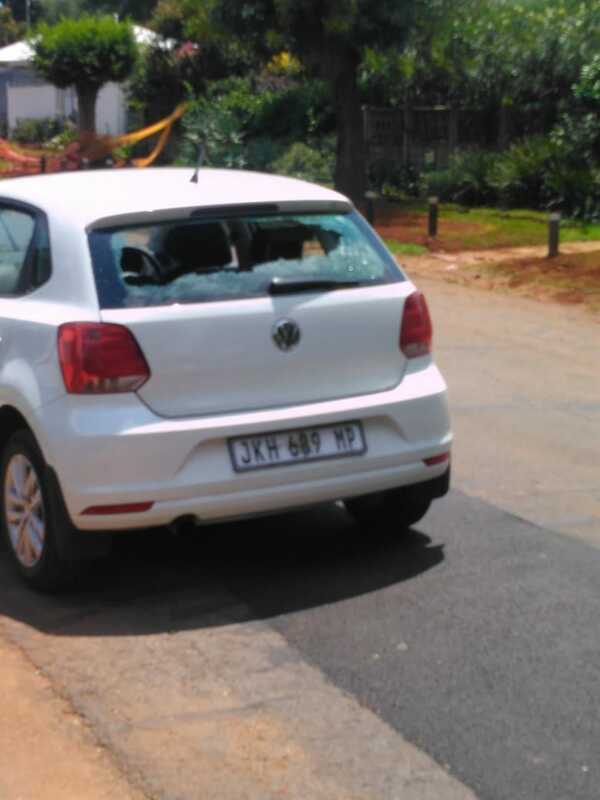 According to police spokesperson Kay Makhubele, "Police arrived while the suspects were attempting to flee and that is when the shooting started. 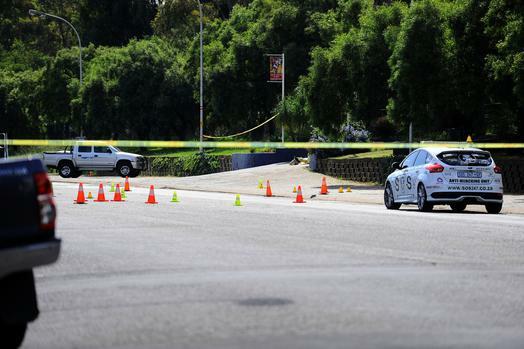 "Two suspects were shot dead and one was injured while others made a getaway with two vehicles. Police do not know how many of the men managed to flee in two vehicles. 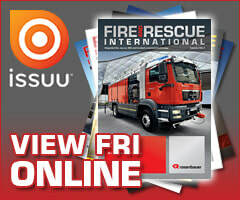 The circumstances surrounding the incident will still be investigated," Makhubele added. Gauteng MEC for Education, Panyaza Lesufi confirmed that pupils were released from the school unharmed and would return on Monday, 25 February 2019. "We have spoken to staff members and they are okay. The academic programme will not be continuing tomorrow (Friday) but we will be offering psycho-social support for learners and staff on Friday," he said. Footage of the shootout between police officers and robbers at Edenvale High School last Thursday shows the final moments of one man's life and the dramatic escape from the scene of the crime. 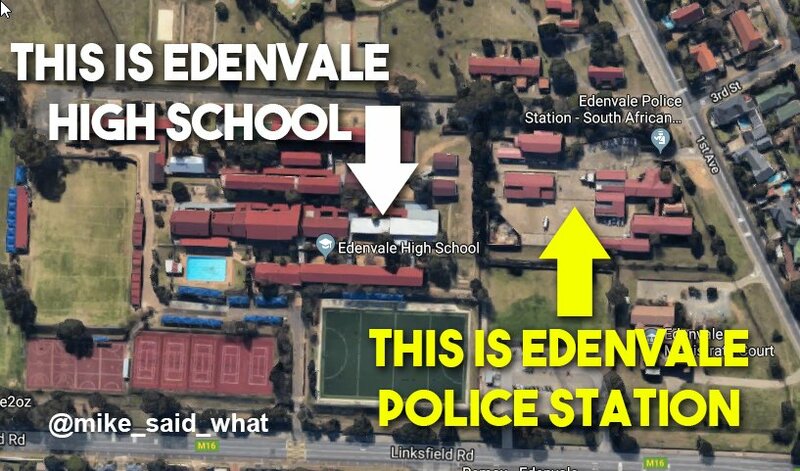 In security footage a group of armed men is seen arriving at Edenvale High school and making their getaway while exchanging gunfire with police. Shortly after the men drove onto the premises, claiming to be parents of pupils attending the school, they held up staff and stole R8 000. Police were alerted to the crime and confronted the group as they attempted to escape, resulting in a shootout. The security footage shows a man sustaining a gunshot wound while trying to flee the scene. Two men were killed during the shooting while one was wounded. Five of the suspected robbers were arrested, among them an Uber driver who claims to have been hijacked. They appeared before the Germiston Magistrates Court on a litany of charges, including business robbery, possession of unlawful firearms, and attempted murder. Police spokesperson Kay Makhubela asserted the strength of their case, "We will present the evidence before the court. 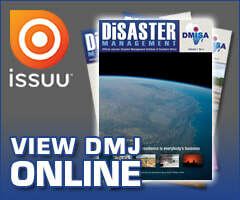 We have a strong case against all the suspects who were involved in the Edenvale High shooting."